Here is a map displays territory of Norway, of Russia. actual map of Zapolyarnyy 1 cm to 1 km free download. actual map of Nikel' for gps. detailed map of Toyllevi for gps. topographic map of Sal'miyarvi with gps calibration this. topographic map of Proliv this. 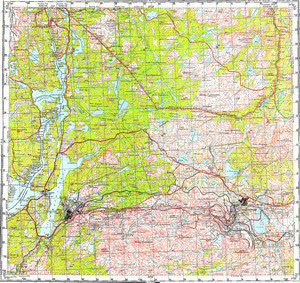 free map of Kuvernerinkoski with gps calibration download for free. interesting map of Koltakyulya и OziExplorer calibration this. detailed map of Keskitalo calibrated this. actual map of Borisoglebsk free download. free map of Akhmalakhti displayed. free map of Svanvik и OziExplorer calibration for gps. interesting map of Gornyy calibrated this.